The latest US economic data just hit the wires, and paints a mixed picture of the world’s largest economy. American household spending rose by just 0.1% in September, down from 0.4% in August, and only half as fast as economists expected. But US labour costs have risen by 0.6% during the last quarter, up from 0.2% in the previous three months. That’s a broad measure of pay, suggesting salaries are rising as the employment market continues to tighten. So on balance, it doesn’t really settle the debate on whether US interest rates will go up before Christmas (as covered in the intro). The global slowdown has rippled across to Canada. 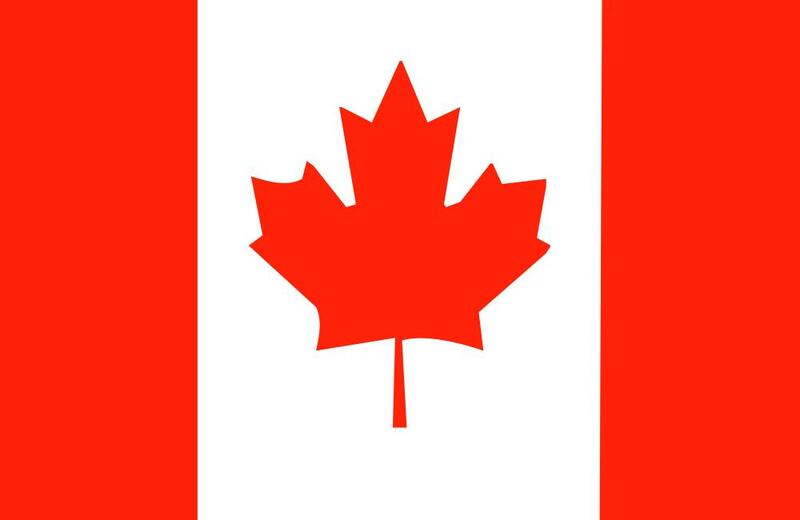 Canadian GDOP rose by only 0.1% in August, data just released showed, down from 0.3% in July. #Canada #GDP 0.1%m/m from 0.3%. oh well. That follows this week’s trend of slowing growth in the last quarter (in the UK, the US and Spain). It’s the third monthly expansion in a row in Canada, following contractions earlier in the year. On an annual basis, the economy was only 0.9% bigger than 12 months ago. Over in Lisbon, Portugal’s new government is being sworn in after a general election that produced no clear winner. It means Pedro Passos Coehlo remains as prime minister, but leading a minority government. Portugal’s president sparked controversy by asking Passos Coehlo to form the next administration, even though left-wing parties won a majority of seats between them. This sparked talk that a coup had been perpetrated. But in truth, the wheels of democracy will keep turning. The opposition will get their chance to kick Passos Coehlo out of office early next month, in a vote of confidence on the new government’s policies. Merkel has used her China trip to call for more protection for Europe’s steel industry, which has been ravaged by falling prices and overcapacity. 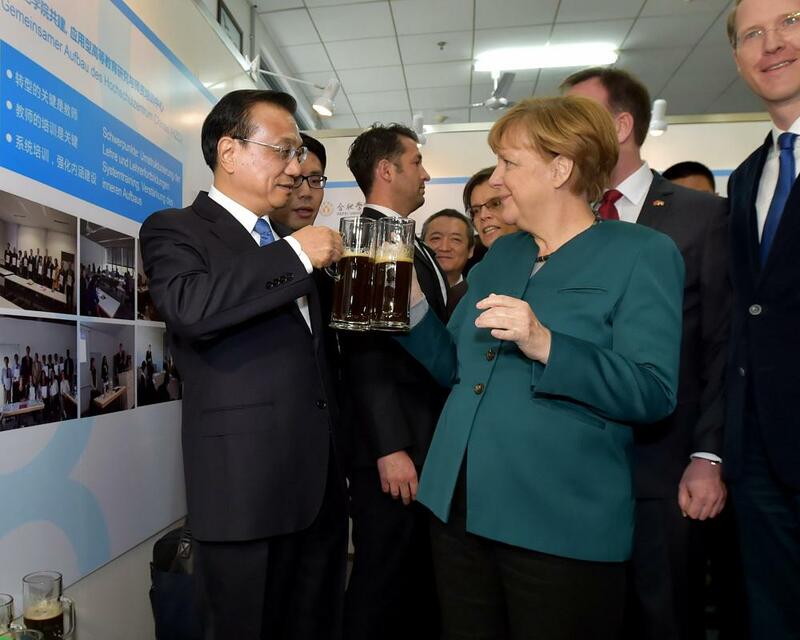 At a German-Sino business congress in Hefei, Merkel calledfor better protection of the steel and solar industries against unfair international competition, a complaint some manufacturers make against China. Merkel said the steel sector needed “a certain amount of market protection” as steelmakers have pointed out that environmental regulations differ from country to country,impacting cost advantages. “I also hope that we can extend the rules already in placein the solar sector,” she added. 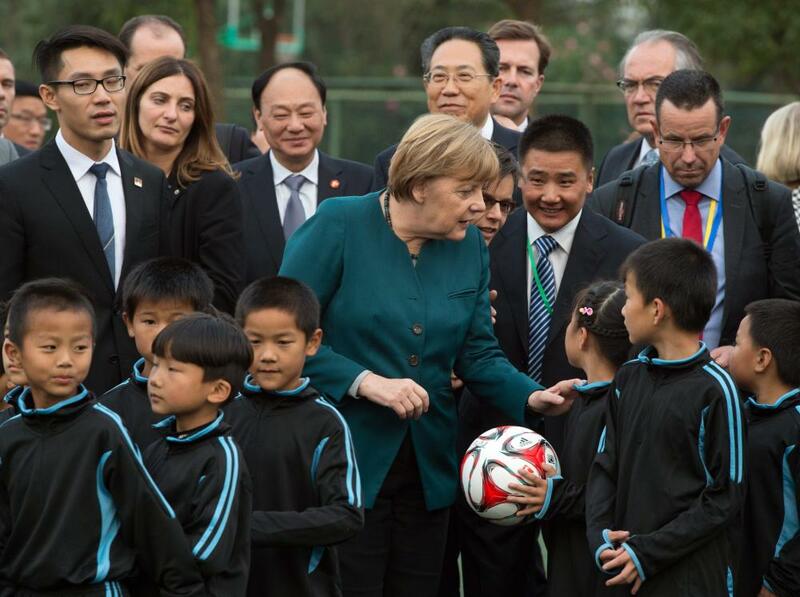 Angela Merkel also had an opportunity to pass on some football tips to the next generation today, during a trip to a primary school in Xin Nan Cun. 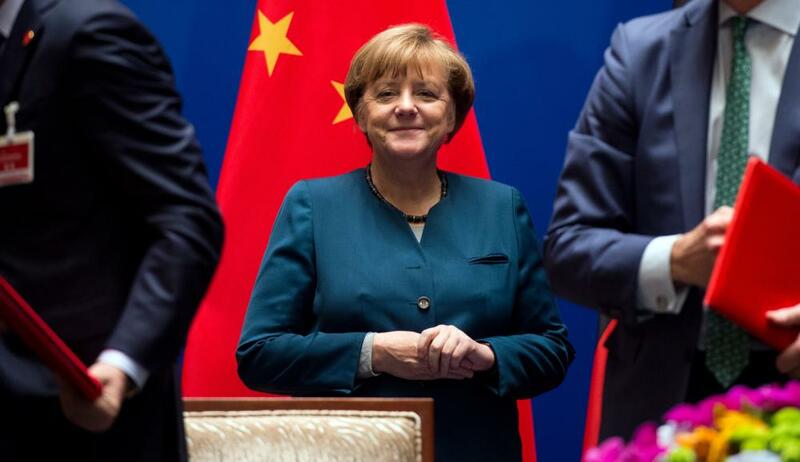 Angela Merkel has also predicted that China’s economy will avoid a crash, during her trip to Hefei today. “I think one can expect that China’s growth will be a bit weaker, but that it will have constant growth. This is Merkel’s eighth visit to China since becoming Germany’s leader a decade ago, underlining the importance of the links between Berlin and Beijing. 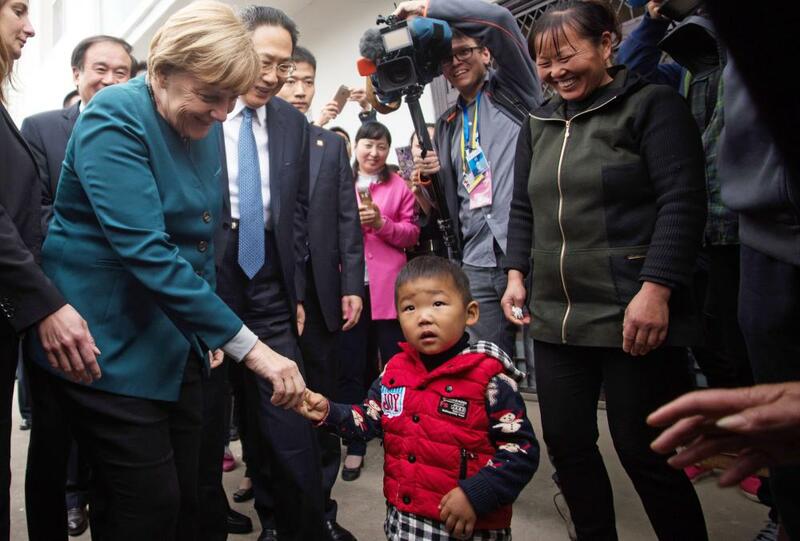 Angela Merkel has been hard at work building closer trade links with China. The chancellor has put worries over Germany’s economy, and Europe’s escalating refugee crisis behind her. And the latest photos from the trip suggest it’s going well. 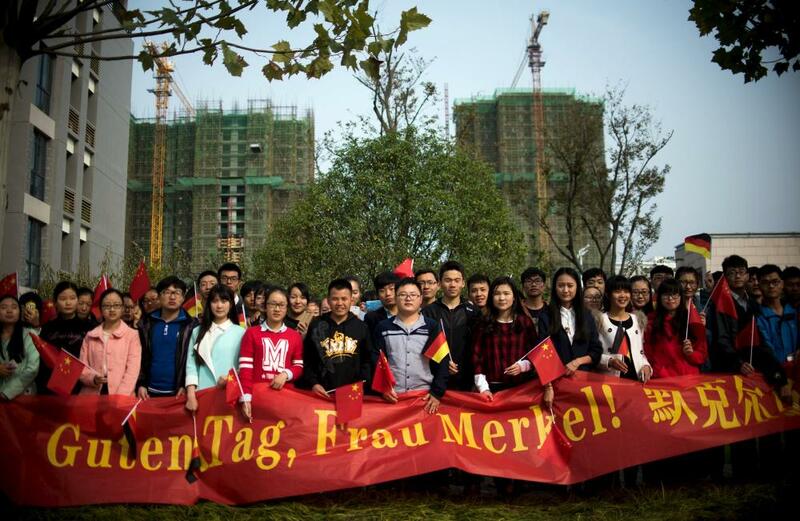 Merkel got a warm welcome from students at Hefei University in Hefei, capital of east China’s Anhui Province…. Merkel also told reporters that Germany favours granting China “market economy status” – a shift that would make it harder for the EU to protect local industry from Chinese competition. Mario Draghi will be pleased to see the eurozone clamber out of deflation this month, but it only takes a little pressure off his central bank. Last week, the ECB chief hinted that more stimulus could be needed soon, as inflation remained sharply off course. The ECB’s most likely next move is to announce an extension in December of the duration of its quantitative easing program to last through March 2017. But hawks on the Governing Council may point to an exit from deflation as a reason for the ECB to continue with asset purchases in 2016, but without as clear a pre-commitment as they made in 2015. This would provide the ECB with discretion to begin a taper of its easing program earlier than expected if inflation surprises to the upside due to pass-through of higher import prices or higher food prices (unprocessed food prices rose 3.0% from a year earlier in October). When do we start talking about tapering the 2nd lot of QE the ECB hasn’t yet announced? No time like the present, eh?…. But that still leaves 22.631 million men and women out of work in the 28 countries which make up the EU. 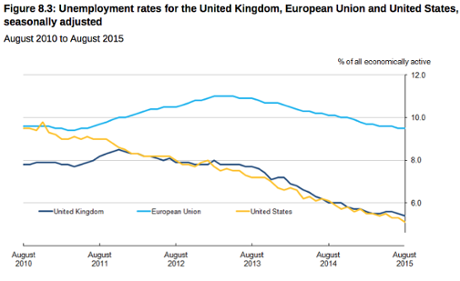 The EU28 unemployment rate was 9.3% in September 2015, down from 9.4% in August 2015, and from 10.1% in September 2014. This is the lowest rate recorded in the EU28 since September 2009. But this is still far, far too high — almost twice the levels in the UK and the US. And many countries are still lagging behind. The highest rates were recorded in Greece (25.0% in July 2015) and Spain (21.6%) — a reminder that the Spanish recovery hasn’t fully fed through to its labour market. The lowest were recorded in Germany (4.5%), the Czech Republic (4.8%), Malta (5.1%) and the United Kingdom (5.3% in July 2015). It’s almost a year since oil prices began to tumble on the world markets, giving the global economy a deflationary squeeze. The impact of cheap oil should soon start to drop out of the annual inflation rates, though (as prices will no longer be cheaper than a year ago). 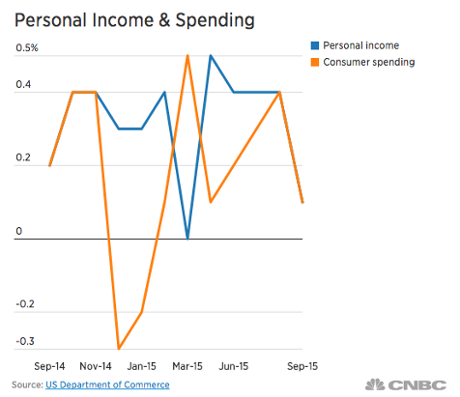 And that could send consumer prices indices up again…. Europe’s unemployment crisis has eased a little, in another little boost to the region. Eurostat reports that the overall jobless rate dropped to 10.8% in September, down from 10.9% in August. That’s lower than economists had expected, and is the lowest level since January 2012. Although the eurozone’s inflation rate was zero in October, that masks wide differences across the economy. Today’s eurozone inflation data shows that food prices rose by 1.5% year-on-year in October, while service sector costs were up by 1.3%. Other goods prices only rose by +0.4%, while energy costs slumped by 8.7%. The eurozone has emerged from deflation! Prices across the single currency region were flat in October, having shrunk by 0.1% the previous month. That’s broadly in line with forecast, and shows how little inflationary pressure there is in the eurozone (due to weak energy prices). Core inflation (which strips out volatile elements such as energy and food) across the eurozone rose to 1% – well below the ECB’s 2% target. European stock markets are subdued this morning, as investors wait for the latest eurozone inflation and unemployment data in 25 minutes. The FTSE 100 has lost 5 points, or just under 0.1%, while the French and German markets are up just 0.15%. Looking back at Japan…some economists believe the BoJ may beef up its stimulus package in November, when it meets again. By then, they should have new growth figures showing whether Japan’s economy shrank in the last quarter, or not. But there’s also an argument for waiting until the US central bank’s next meeting in December. If the Fed does hike interest rates, then the yen will weaken against the US dollar without the BoJ needing to do anything…. Italy’s unemployment rate has dipped to its lowest point since January 2013 but still remains worryingly high. New data shows that the Italian jobless rate fell to 11.8% in September, from 11.9% in August, suggesting prime minister Matteo Renzi’s reform plan may finally be bearing some fruit. It’s better than economists expected. 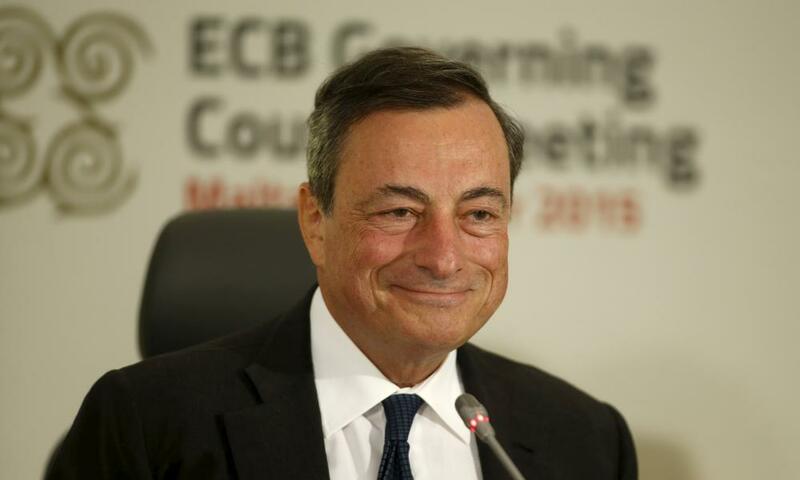 In 50 minutes time we get the overall eurozone unemployment report…. Spain’s recovery has been partly due to a strong tourist season, which helped it overcome the housing crash. Record spending by foreign tourists has helped speed Spain’s recovery from a double dip recovery that began after its real estate bubble popped in 2008. Tourists injected €53.8bn into the economy over the first nine months of 2015, 6.3 per cent more than in the same period in 2014. 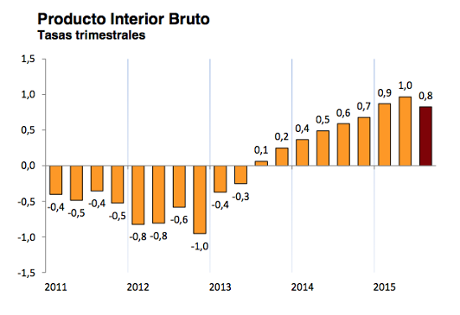 Spain’s economic recovery continues, although at a slightly lower speed. The Spanish statistics body reports that GDP rose by 0.8% in the last three months, compared to 1% in the second quarter of this year. On an annual basis, the economy grew by 3.4%, up from 3.1%. This is the 9th consecutive quarter of growth in Spain, which has been one of the best performing European economics since the debt crisis eased in 2012. Spain is the first eurozone country to report growth figures (we get most of the data in two weeks time). Today’s numbers mean it is growing faster than the UK, which reported a GDP increase of 0.5% on Tuesday. It also beats America’s annualised rate of 1.5% (which is <0.4% on a quarter-on-quarter basis). Governor Kuroda is also trying to dampen fears over China’s economy, and its impact on Japan. Many Japanese companies operate in East Asia so their profits may also be affected. Kuroda leaving the easing door open, obviously. BoJ’s Kuroda pushes 2% inflation target to H2 16. Sees lower oil prices as main reason. Says overall inflation trend is improving in #Japan. The Bank of Japan has fuelled speculation that it could soon announce fresh stimulus measures, after cutting the Bank’s inflation and growth forecasts. Governor Haruhiko Kuroda has just told a press conference that the BoJ has more ammunition at its disposal, as it battles against the deflationary pressures gripping the globe. Kuroda was speaking after the BoJ left its current stimulus programme unchanged at its latest policy meeting, despite evidence that Japan hasn’t shaken off the spectre of deflation. 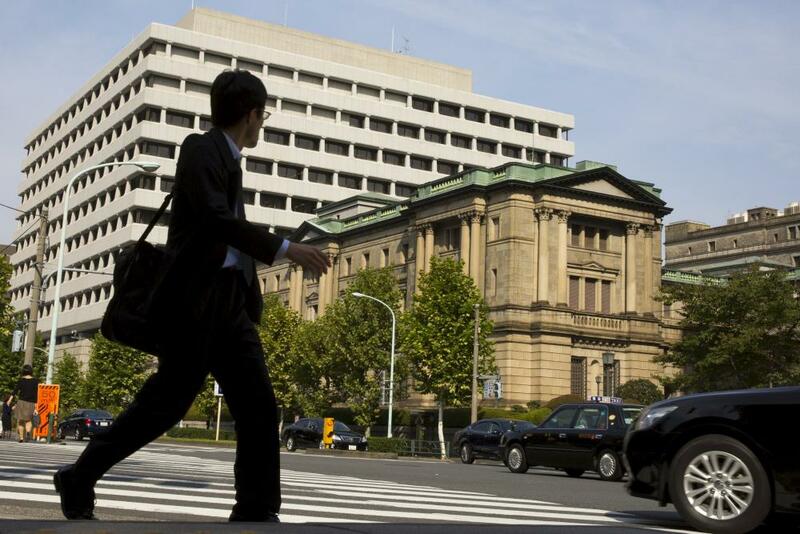 The BoJ also cut its forecast for real economic growth for the current fiscal year to 1.2% from 1.7%. It also kicked back the target for hitting 2% inflation to the back end of 2016, or even early 2017, from the middle of next year. Some analysts had thought the Bank might boost its 80 trillion yen annual asset-buying scheme today, but Japan’s policymakers are hopeful that the global economy will pick up. But there are signs that more may be needed. New figures showed that consumer prices fell 0.1% in the year to September, a second monthly decline, while household spending slid 1.3 percent from a year earlier. The Agenda: Will eurozone emerge from deflation? In Europe, the latest inflation data come at 10am GMT. It may show that prices stopped falling in the eurozone, after dropping by 0.1% in September. There’s also a flurry of data coming our way from across the Atlantic. That includes US personal spending stats at 12.30pm and the University of Michigan confidence report at 2pm GMT. They’ll both provide more ammunition for the ongoing debate about whether the Federal Reserve will take the plunge and raise interest rates at its December meeting (just 47 sleeps to go!). Canada will become the latest major economy to report growth figures – economists predict that growth slowed to 0.1% in August from 0.3% in July. And in the City, it’s quite busy for a Friday. And Royal Bank of Scotland has suffered an operating loss of £134m in the last quarter, after taking a £847m charge to cover restructuring costs. More details on that later, along with all the main events through the day….